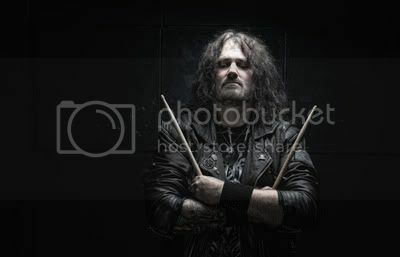 RAVEN LORD has announed that former STUKA SQUADRON drummer Lawrence “Larry” Paterson (BLAZE BAYLEY, CHOKEHOLD, SINOCENCE, ARBITRATER) has joined the band. Says the band: "Larry lives in UK and comes with tour experience. Larry will be handling the drum duties and completes Raven Lord’s lineup." Preliminary work on a new Raven Lord album has already begun, with various songs at different stages of completion. Two new songs ‘End Of World’ and ‘Saints & Sinners', can be heard at this location. More on Raven Lord at this location.